Wintertime presents unique challenges for pet owners. Even though most household pets are covered in fur, this doesn’t mean that you can just turn them out for hours or days at a time and let them fend for themselves. Responsible pet owners need to adjust their routines to keep their furry family members from danger and even death. l When the temperature drops below 20 degrees Fahrenheit, it’s best to keep all animals indoors except when exercising or relieving themselves. “Outdoor” dogs should have a dry, comfortable, draft-free doghouse large enough to allow the dog to sit and lie down, but small enough to hold in his body heat. The floor should be raised a few inches off the ground and covered with cedar shavings or straw. Pet stores carry safe heated floor mats and non-electric warm bedding. The doorway should be covered with waterproof burlap or heavy plastic. l During the winter, there is no such thing as an outdoor cat. l Pets require more calories in lower temperatures because exercise is more strenuous in cold and snowy conditions, and higher fuel intake helps your pet to maintain body temperature. Check with your veterinarian to find out how much more food your pet requires during the winter months. l Pets must have fresh water at all times, especially in winter when the dehydration is more common. Check the water bowl regularly to ensure it’s full and unfrozen. Use a tip-proof bowl to keep Fido’s paws from freezing. And never use a metal water bowl—the old wives tale is true: the tongue will stick to wet metal, and injury will result. Heated water bowls are available at many pet stores. l If your dog is a short-hair, you may want to buy him a sweater for his daily walk to help him keep his body temperature up. l Your pet’s skin is dryer in the winter and can result in “doggie dandruff” and even cracking and bleeding. Check with your vet to see if he recommends adding a tablespoon or two of vegetable oil to your pet’s food. l Keep an eye on the clock when your dog goes outside to play. Paw pads can become frostbitten. Use an old towel to wipe off paws when he comes inside. l After a heavy snowfall, be sure to shovel a path in your yard so your dog doesn’t have to work hard to find a place to urinate. l In really frigid weather, don’t take long walks. The salt and chemicals used to de-ice roads can irritate paws, and when your dog licks his paws later, the chemicals can irritate his digestive tract. If your dog’s paws do come in contact with these substances when out for a walk, rinse the feet off and dry thoroughly once you’re back inside. l Antifreeze and windshield wiper fluid spilled on your driveway smell sweet and taste good to both dogs and cats. As little as a teaspoon of these substances can kill your pet. Symptoms to look for: acting “drunk”; lack of coordination; vomiting; depression; and increased water intake and urination are all signs that your pet has imbibed. Call your vet immediately if you suspect antifreeze poisoning—it can kill in as little as four hours. l Cold weather aggravates arthritis. Even young pets are at risk for this complaint, especially in overweight pets. 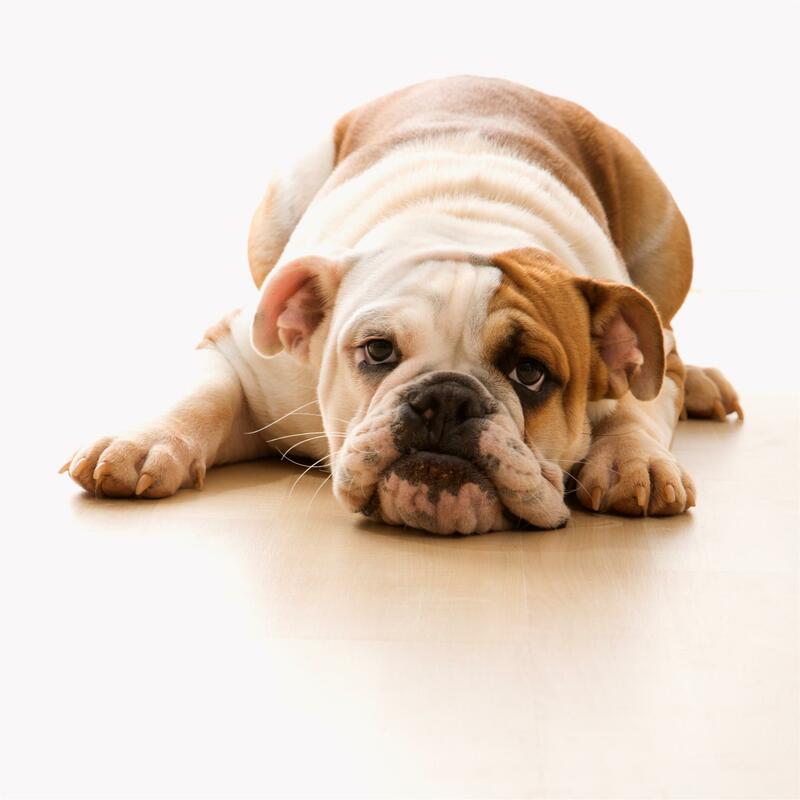 If your pet is having trouble getting up or laying down, climbing the stairs or has started to snap or cry when picked up, call your vet, who can offer several treatments for this condition. Never medicate your dog with human medicine of any kind. One acetaminophen tablet can kill a cat. l Winter dangers lurk inside the house as well. Keep your pet away from fireplaces, space heaters and propane heaters. Just one swish of the tail can knock a heater over or singe or burn fur. l If you see an animal left out in the cold, speak to its owner or notify your local police or animal welfare agency. Do not be accusatory or belligerent when talking to neglectful pet owners. They may just not know about the dangers of leaving a pet out in the cold for extended periods of time.